Mystic Diary: Haunted Island is rated 3.4 out of 5 by 36. Rated 4 out of 5 by einiespal from Good game I thought this game was a fairly straightforward, simple game. It was somewhat challenging, but not difficult. The graphics were well done, and I thought the puzzles weren't too bad - some of the same old ones in every game. The HOS were OK. The story leaves a little to be desired, but all-in-all, I thought the game was enjoyable. Rated 4 out of 5 by skye1945 from Spooky special surprise! I have already bought the other Mystic Diary and liked it so as a Spooky special this game was attractive. It was even better when I discovered I liked it even more than the first! The trial passed really quickly so I was quick to purchase. Why do I like it? The HOS are acceptable visually and it is possible to find all that is listed with patience. The characters are presented interestingly and add to the story without detracting from it. The mini games are generally fairly easy but one or two tested the brain but the skip button is there if all else fails. Use of inventory items is generally logical although you do have to wait a while to solve some situations. The ending is believable within the magic of the story. Being a HO fan I love the excess of HOS at the end! It is not the best game on the market so I cannot give it 5 stars but it is fun for Intermediate level players and challenging for beginners. Experts may find it boring. Rated 4 out of 5 by LPERM from fun hog game Fun not so difficult HOG game. Rated 4 out of 5 by BlackWaterRules from Super Fun Hidden Object Game This HOG is a lot fun. It has an interesting story line and keeps you interested every minute. The characters are intersting and their introduction to the player is even more interesting. The mini puzzles were sometimes impossible and I had to use the skip button on almost all of them, but that didn't detract from the storyline or the game play. It was the reason however that I only gave it 4 stars instead of 5. Rated 4 out of 5 by aunttoes3 from It's a Fun Game to play!! This game had several locations to explore and I enjoyed all the Hidden Object scenes as well as the puzzles. It wasn't too difficult but kept you entertained. This is what I refer to as my "sit back and enjoy the day" game. It doesn't take two or more days to complete, so I feel like I accomplished something. It truly is a fun game to play. Rated 3 out of 5 by charlene_lane from FREE THE SOULS IN THE MYSTIC DIARY Review of completed game. This is the sequel to 'Mystic Diary - Lost Brother', where Victor searches for his insane brother Gustav, who has got himself trapped in a magical book known as the Mystic Diary. There are also other trapped other souls in the Mystic Diary, along with Victor who you also have to rescue. There are voiceovers in the beginning, but goes to dialogue for the rest of the game. There are no modes of play or interactive map, but you do have a diary which you will be reading throughout the game. The diary has the answers to help you with the mini-games. The music is nice - orchestral and plays quietly in the background. The graphics are okay and I could see items I needed fairly clearly. Its wasn't too dark or gloomy. However, the hidden object games were awful. They were very cluttered and so hard to see items. Once again, as with the first game 'Mystic Diary - Lost Brother', it was extremely picky where you clicked on objects. I must have clicked 8 or 9 times to get a necklace and it wouldn't let me have it. I thought I was looking at a wrong item, but when I got a hint, it showed me exactly the item I was trying to get. Very annoying and I came to dread them. There are a lot of HOS in this game, so you can imagine how frustrating this was. The mini-games were good and I enjoyed doing them. They were not hard to do, so I didn't skip any of them. It was quite a long game and I think I played for about 6 hours or so, maybe a bit longer, which I did during the week. So overall, the game was okay. However, I probably won't play it again, due to the picky HOS. I recommend that you trial this game before you buy to make sure it is right for you. I bought this game on disk years ago and thought I would give it another go. Boy, have games come a long way since then. Rated 3 out of 5 by gamefan10 from Lots of repetition In this game you have to free some people trapped in a magical diary. You travel back and forth a lot, collect a lot of items, complete many hidden object scenes, and solve a lot of puzzles. The graphics were not always clear. 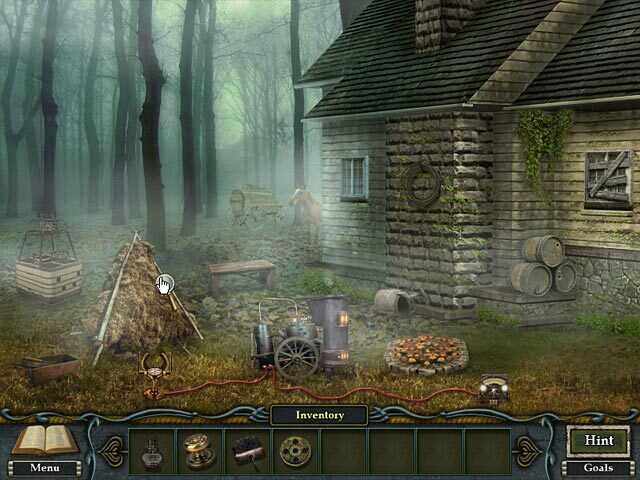 The hidden object scenes are frequent, and you repeat each scene a few times, and at times looking for the same items. The cursor has to touch some of the items in the exact right place or you can't select them. At one point I clicked on an item at least 10 times (getting the green smoke for clicking too much) before the item was selected. The puzzles were OK - interesting, but if you ran into a problem there was a skip button. The hint button took forever to reload, and it was really only good in the HO scenes. In other places all you could do is drag an item to the hint button in order to see where it is used. At the end of the game you have to travel back to each area in the game again and complete a HO scene. This definitely wasn't the worst game I've ever played, and there are parts that are interesting. It seems like an older game. I would recommend it but advise you to wait for a sale or use one of your free games. Rated 3 out of 5 by JustTheFacts from Nothing To Get Excited About... BASED ON COMPLETED GAME FIRST IMPRESSIONS I had no idea I even had it in my collection, have no idea how it got there, and have just now played it for the first time. This game is pretty old now, so its graphics are a big downer, and don’t make a good first impression. But overall, it is not a bad game. SIGHTS & SOUNDS As I say, poor graphics, grainy, fuzzy and difficult to make out in HOP scenes. It makes a big impact on an otherwise good game. The music is quite good, pretty. And the ambient sound is good. I know we are now used to voiceovers, but it certainly wasn’t always the norm, and this game dealt with its absence in a unique way. When a ghost appeared, his/her instructions for the next part of the game are inscribed in the diary, and only the diary, so it is an integral part of the game. I like this idea, it is often useless having a diary unless you are playing over several days. Here, it helps with that, but has an even more important role. WHAT’S HAPPENING? This is the sequel Lost Brother, where Victor (a magician of the conservative stripe) searches for his more eccentric and excitable brother Gustav, who has somehow got himself trapped in a magical book known as the Mystic Diary. Now we are drawn into the search for Gustav, now apparently virtually insane, who has trapped other souls in the diary, along with Victor. There are half a dozen souls to release and each has unique skills to offer you in their own rescue. GAMEPLAY The gameplay is dominated by HOPs, with some interesting but never too difficult puzzles. The HOPs are interactive lists, and are visited twice. They are blurry and lack contrast, but that is its age. They are still doable, it just takes a little eye strain. There is the diary, which is essential reading, but no map. Which would have helped, seeing it is a large game world, covering a fair whack of locations, and there is a lot of tracking back and forth. Hint is next to useless, particularly near the very end. You must click on an inventory item, and you are shown where it is used. This is worthless if you don’t recognise the scene, because you haven’t reached there yet. And if you don’t have the needed item yet, no hint can help you. And hint takes forever to refill. Go make a cuppa while it refills. Very exasperating. At the end of the game, you must do a complete tour of all the game’s HOPs in order to collect all you need to defeat the bad guy. VERDICT Not a bad game. It did seem to drag a bit from time to time, and it was quite a long game. I will probably play it again, but not for a couple of years. Rated 3 out of 5 by eedebeep from Just a run of the mill HOG This game is full of HOS, so you better like them if you play this game. Personally it has too many for me, just HOS after HOS after HOS. Especially at the end of the game when you have to collect some items, you end up running through all the HOS you played before. There are a few minigames,the usual. Graphics are fine, nothing special. Story isn't very well developed, but you can follow it easy enough. Not at all scary or creepy. Would be an okay daily deal or on sale, but not worth full price. Rated 3 out of 5 by grunny50 from Very So-So Well, if you're kind of bored, it's an okay game. The graphics are what spoil this a little for me. The HO's are pretty murky. I don't mind a challenging HO and love those "Aha!" moments. These HO's are more like "What the...?" The hint button recharges slowly, which forces you to keep looking for objects that may not look at all like what you are used to. Clicking the screen too many times searching for something gives you a green fog. I wouldn't recommend this unless you have everything else and just need something more. Rated 3 out of 5 by neilskinut from Just a ok game Not all the special. Just an average game. Rated 3 out of 5 by lyssa7712 from excellent Hidden Object/Puzzle/Adventure for beginners! very simplistic game, but quite a bit of running from one location to another at times. none of the puzzles was particularly difficult, and everything was pretty easy to find. I enjoyed the game, but was disappointed at the rather abrupt ending. Rated 3 out of 5 by heartonfire23 from not much of a game alot of look and fined! if u want a great story this is just not it!! It only takes a few hours and its done! Rated 3 out of 5 by kristidumplin from A good $2.99 game. My overall experience with the game was good. Graphics were okay for the most part, although some were dark and grainy, which left some hidden objects hard to find. The hidden object scenes were junkpiles, with many, many items out of place - like teddy bears at the bottom of the sea. There were just an awful lot of things where they really shouldn't have been and those things leant very little to the game play. They were just filling up the lists. The story continues where the first Mystic Diary game left off - sort of. It tries - it just doesn't quite get there. 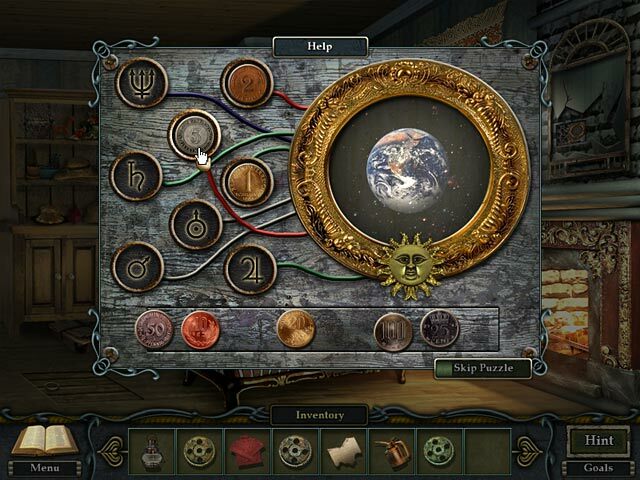 Hidden object scenes were plentiful and the mini-games/puzzles were fairly easy and all had the skip option. The hint sytem is adequate. Length of play was fine for a game that I paid $2.99 for, but would have been too short for the regular price of a game. If you think you might like the game, give it a try - it's not awful, and I would recommend it for an evening's game play at the lower price. Rated 3 out of 5 by VelvetRose55 from Middle of the road This game was middle of the road all the way through. Sometimes it was a little too easy. The hidden pieces were, for the most part not so hard to find. When you visited the area a second time it was even easier since you knew where the objects were already. The puzzles weren't that hard either. One puzzle called for a little homework, but some others made me wonder what age group were they thinking of. A couple of the puzzles had technical problems but persistence got me through. Sound and graphics were also mediocre. Buy it for some gentile easy fun, but only if it is on sale. Rated 3 out of 5 by birte83 from Nice game, but nothing special It was a nice game, nice visuals, beautiful scenery and the story was okay. Also the length of the game was okay, not too short. However, for me the game was much too straightforward and the puzzles and HOS too easy. There are much better games. 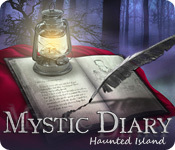 Rated 3 out of 5 by zoomzoomZombie from It was Just Okay Mystic Diary: Haunted Island is an interactive hidden object game. The story revolves around having to free some people trapped in a magical diary. You travel back and forth collecting items, completing many hidden object scenes, and solving puzzles. The graphics are nice, but not always clear. 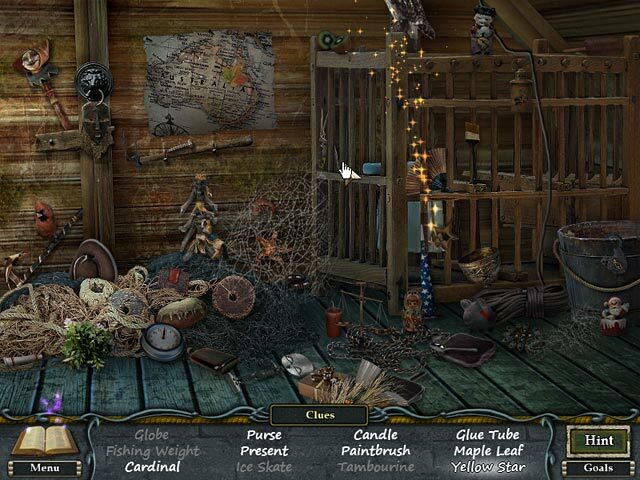 The hidden object scenes are frequent, and you repeat each scene a few times with a new list of items to find. The puzzles were nice - interesting, but not all that challenging. The game was rather short, taking me between two and two-and-a-half hours to finish. The end of the game was annoying because you have to travel back to each hidden object scene in the game and complete it again. I'm giving it three stars because it started out well enough. Rated 3 out of 5 by katyggls79 from Good Concept; Poor Execution The concept of this game is ok, and it seemed promising before purchase. But the execution was lacking. The hidden object scenes are alright but nothing exciting or different. The puzzles are another story. Many of them are nigh on impossible to figure out except by random clicking, and they don't seem to be motivated by logic at all. The game play can be confusing as well, since what you need to do next is often unclear. Objects you collect can be used, but it's difficult to figure out for what at times. The graphics are quite nice in this but the frustrating game play kind of makes them a waste. Rated 3 out of 5 by SwandaG from Not much to it.. The story was good, the graphics were good, but the game was a little lacking. I managed to finish in just a hours. I found that there was alot of retracing your steps, to complete puzzles in the same areas multiple times.. Rated 2 out of 5 by AverageSizeFish from Just miserable The graphics are sharp enough to make out what you're doing but only just. The appearance of the game is quite grainy on a newer machine. The storyline is an extended non sequitur. Your character is somewhere but you don't know why. Things happen that don't make sense. There is nothing about it that draws you in or is interesting in any way at all. The HOS are simple. The puzzles are irritating and have a clunky, outdated interface. The "adventure" component is completely annoying. You stay in one place gathering a gazillion inventory items you don't need and then go to another place that needs a bunch of inventory items you don't have. At no point does what you're collecting go along with the story or even make much sense so it's very difficult to figure out what to do. This problem is compounded by the developer's apparent misunderstanding of what certain ordinary items are used for in daily practice. Overall this is a very tired out example of an early HOPA. It has absolutely no redeeming qualities and it is a complete waste of time. All it did was make me annoyed that I wasted 15 minutes on it. Rated 2 out of 5 by catbag8717 from Quickly Got Bored This game started out good, but a lot o going back and forth and no indication of what to do quickly made me bored. Good Parts: Good graphics. A good storyline, but would've prefered more spookiness. OK Parts: The Hidden Objects were too easy to find. I would've liked it to be harder and maybe some interactive Hidden Objects. Bad Parts: The hint takes way too long to recharge. The game really is not fun. I found no reason to keep playing. A lot of going back and forth No indication of what to do next after the tutorial is finished. There should've been sparkles or something. There's really nothing excitng about this game. I could only just manage 5 minutes of the demo. Rated 2 out of 5 by SilverBranch from Just a standard HOG for me. I bought this during a $2.99 sale without testing it because I liked the storyline. I'm glad I only paid that much for it. I found the game your stereotypical hidden object game complete with random objects with nothing much to do with the surroundings in scenes and overplayed sound effects. The cursor is very exacting and you must click the item precisely or you won't pick it up at all. And while the premise for the game sounds interesting, I found the way the storyline was carried out to be tedious and hard to keep my interest. It's a no for me. Rated 1 out of 5 by turkthesnake from Not worth it I got this game on sale, and I feel that it was a waste even then. The story line could have been awesome, but what you learn in the opening minutes of the game is really all the story you get. You meet ghostly manifestations of living people along the way who stop short of telling you what to do. What made me dislike this game so much was that you have to do everything in precise order. You might have all the necessary tools to complete a task, but if you missed that one HO scene . . . Hints were of the "where do I use this?" variety and thus largely unhelpful Also, HOS's were frustrating. They were grainy and if you don't click PRECISELY where you are supposed to, you won't pick up the object. Some were unfiarly hidden (oh, I was supposed to know that brown sliver in the bushes is a pipe?) Some HO's required special knowledge that I don't have. (Well, excuse me for not knowing the difference between Ivy leaves, mint leaves, and oregano leaves.) The hints load very slowly. All of the above would be forgivable if the penalty for unsuccessful clicking weren't so harsh. It didn't seem to matter how much time passed between clicks; if I hadn't found an object within three or four tries, the screen would go dark and the game would tell me to "focus." Shut up game. I am focusing.